Arkadelphia Superintendent Dr. Donnie Whitten and Athletic Director Chris Babb first announced the inception of the wrestling team on June 12, 2015. The two, along with AHS Coach J.R. Eldridge, noticed the increase in popularity of wrestling in Ark. and wanted to give Arkadelphia students the opportunity to participate. The students making up the opening year of Arkadelphia’s wrestling program are: Ricky Rodgers, Zachary Clark, Patrick Dobbins, Griffin Smith, Garret Collie, Kyle Whittle, Keaundre Dawson, Gabriel Curlin, Caleb Bird, Jordan Jarboe, Dakota Barnum, Keaton Goodrum and Rhett Womack. In addition to the dedication of Moreland and Eldridge, the support from the community has influenced the Badgers’ success tremendously thus far. Todd Allen, Ouachita Baptist University’s head wrestling coach, and current OBU wrestlers have volunteered to help Arkadelphia begin the program. 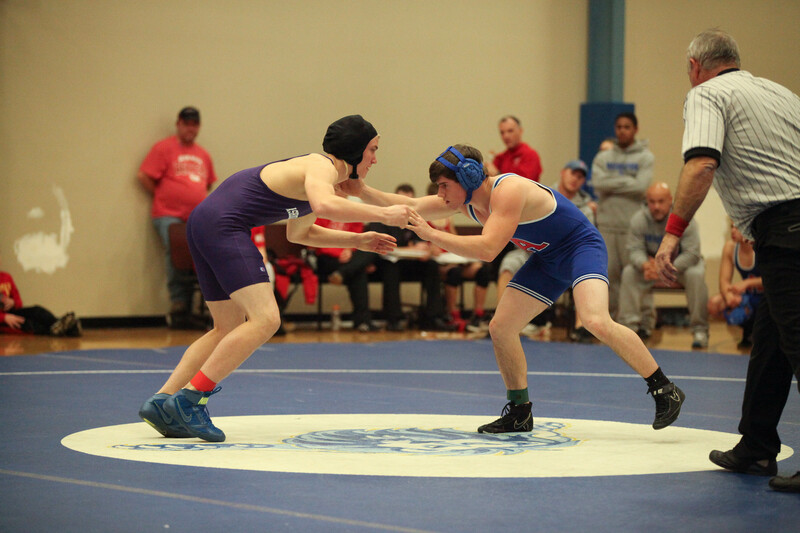 The Badger Wrestling program had its debut at Hot Springs High School on Jan. 19. The team wrestled Hot Springs and Benton. Goodrum, a sophomore at AHS, was the first individual win for Arkadelphia, accompanied by Rodgers, Curlin, Jarboe and Dawson. The wrestling team practices every Monday, Tuesday, Thursday and Friday at 3:30 p.m. For the first two weeks, Eldridge and Moreland focused solely on conditioning and getting the wrestlers in shape. As mid-season approaches, the Badgers are spending more time doing drills and facing each other in practice matches. The State Wrestling Championships will be held at the Jack Stephens Center on the campus of the University of Arkansas at Little Rock. Championship matches will begin Friday morning, Feb. 19 and will conclude on Saturday with the finals. Information will be posted on Twitter: @APSD_Athletics and Facebook: "Badger Athletics". We would love for you to come out Friday and show your support!